Holi is one of the major festivals in India, which symbolizes the victory of good over evil and also marks the arrival of spring, a season of new beginnings. Visiting India to celebrate Holi is a great idea – you will have a fun-filled experience with enthusiastic people; but make sure you aren’t scared of getting drenched in colors and water! The festival is celebrated the day after the full moon in March each year. Today we celebrate Holi on March 24. You’ll pretty much find Holi celebrations taking place almost all across India and around the world. While some celebrate Holi with traditional rituals, you’ll find today that others today with DJs, bhang and lots and lots of colours, the way life should be right. 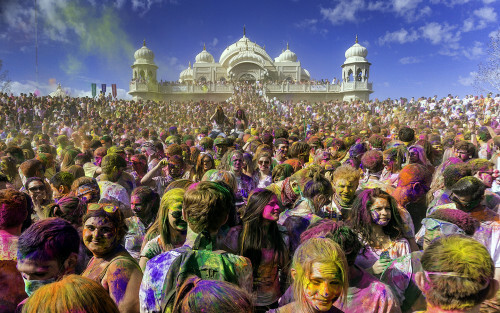 Check out our best places to visit in India to celebrate Holi for students.